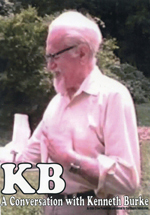 The Kenneth Burke Society calls for nominations for career awards to be given at the Society’s Seventh Triennial Conference, June 29-July 1, 2008, at Villanova University, just outside Philadelphia, Pennsylvania. These awards recognize Lifetime Achievement, Distinguished Service, and the promise of an Emerging Scholar. Lifetime Achievement recognizes extraordinary achievement in Burke studies. Previous recipients are Leland M. Griffin (1990), William Rueckert (1993), Bernard Brock (1993), James W. Chesebro (1999), Timothy Crusius (2002), and Jack Selzer (2005). Distinguished Service recognizes extraordinary service to the Society. Previous recipients are Sheron J. Dailey (1990), James W. Chesebro (1993), Dale Bertelsen (1996), Robert Wess (1999), Clarke Rountree (2002), and David Blakesley (2005). The Emerging Scholar Award recognizes the extraordinary promise of the work of a young scholar. Previous recipients are Dale Bertelsen (1993), Mark Wright (1996), Mark Meister and Glenn Stillar (1999 co recipients), Debra Hawhee (2002), and Ryan Weber and Nathaniel Rivers (2005 co recipients). Nominations should include a brief rationale for granting the award to the nominee along with a brief description of the nominee’s relevant work. All nominations are confidential. Nominations should be sent before May 1 to each of the three members of the career awards committee: James W. Chesebro (Jchesebro@ma.rr.com), Timothy Crusius (tcrusius@mail.smu.edu), and Jack Selzer (Jls25@psu.edu).